This another quick and easy dress that is suitable for some cultures where they require the girls to have sleeves. I often have people ask where I get the t-shirts... well I use my Kohl's coupons for $10 off and shop the clearance racks. I also shop at Goodwill, Value Village and garage sales... but there is a word of warning. Please make sure that the t-shirts are "like new"... no visible signs of wear. Also, please do not use t-shirts that have writing (even Daddy's Little Girl may not be appropriate if a little girl has never known her dad)... No skulls, no patriotic symbols, no organizational symbols... just generic designs like flowers and butterflies or plain solid colored t-shirts. The first thing you have to decide is do you want the fabric attached in a high-waisted style, at the natural waist or at the hip. 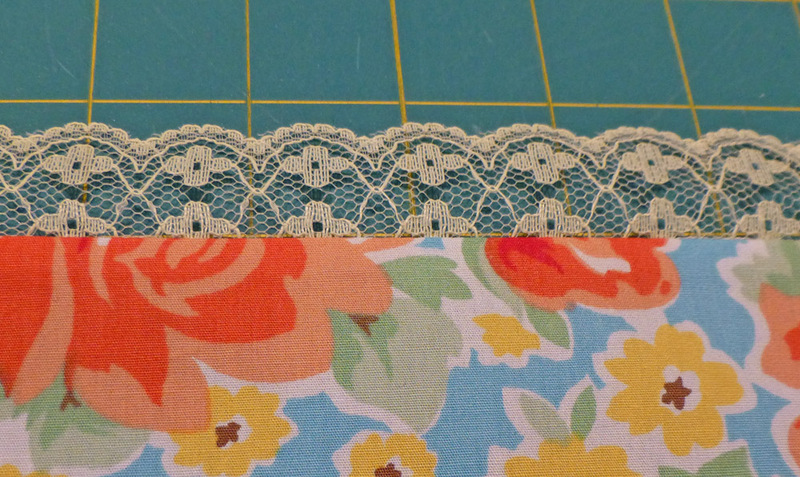 All three work well... sometimes the design dictates where the fabric should be attached. I like to choose bright colors as you can see. 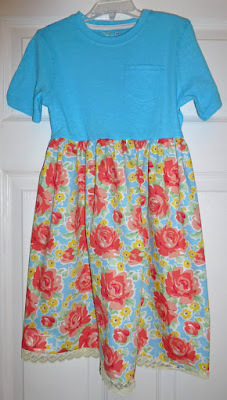 Baby (size 1/2 and 1) 16"
Extra Small (size 2 and 3) 20"
Small (size 4 and 5) 25"
Medium (size 6 and 7) 29"
Large (Size 8 and 10) 33"
Extra Large (Size 12 and 14) 38"
These sizes include 1/2" for hem and 1/2" for serging together... so the finished length is 1" shorter. Lay your t-shirt over the edge of your cutting board. 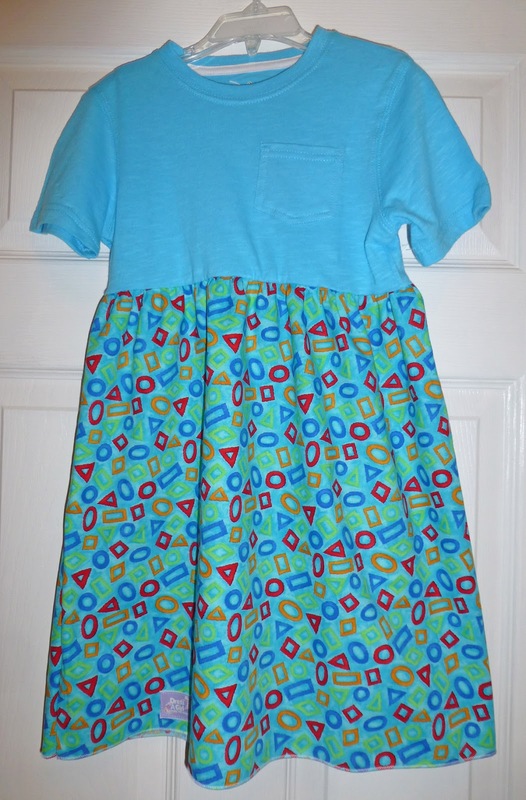 The chart is for our regular pillowcase style dresses, so we are not measuring from the top of the t-shirt... we are measuring from the point that would be the same as the top of a pillowcase dress. I always put my hand on my chest and visualize where I would want the top of a dress to be and that is the point on the t-shirt we will measure from. I decided to make a slightly high waisted dress. 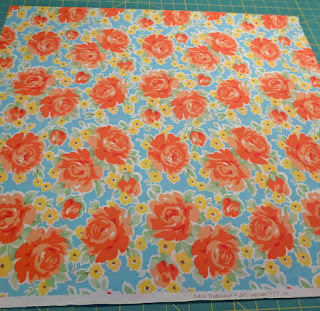 The measurement from the top middle chest to where I cut the t-shirt is 5" Now I subtract that 5" from the total length of a size 3 dress (which is 22") and I need to cut m fabric 18" long (this includes the extra 1"… see above) by the full width. 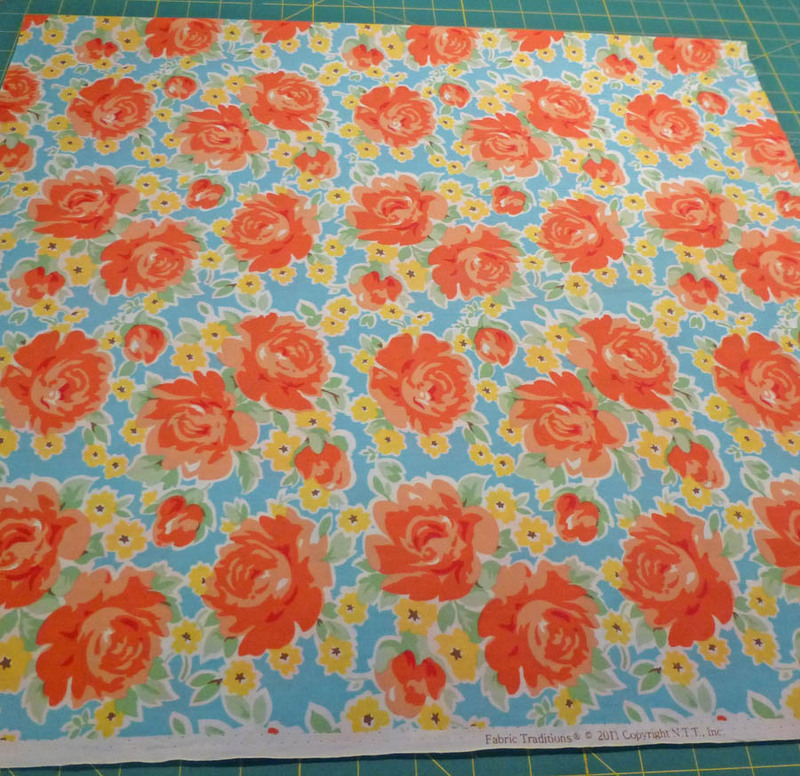 I want my fabric to be about double the width of the circumference of the t-shirt so on larger dresses I might need to cut 1 1/2 lengths of fabric and sew a seam to get this double the width of the t-shirt. Depending long how long you cut your t-shirt… you will adjust the length of the shirt… not all dresses need to be high waisted…you can also make the dress at the natural waist or even a low-waisted dress. 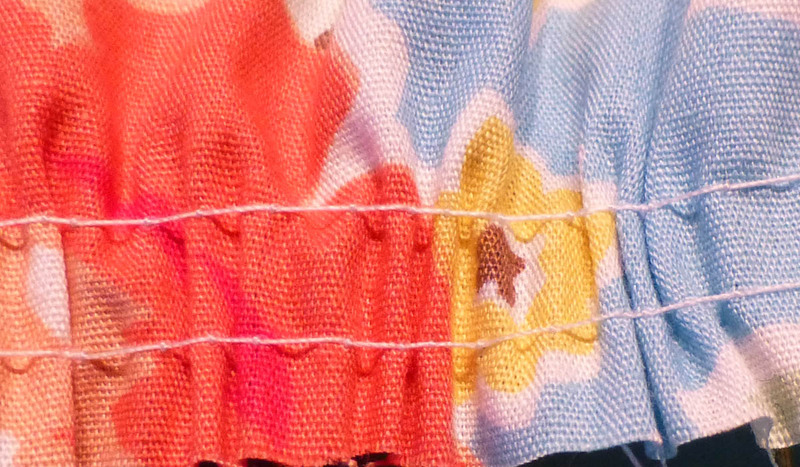 so that the seam does not ravel. 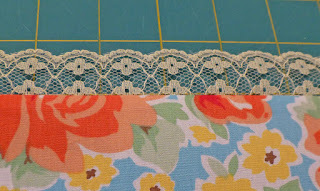 I chose to add lace to my hem. 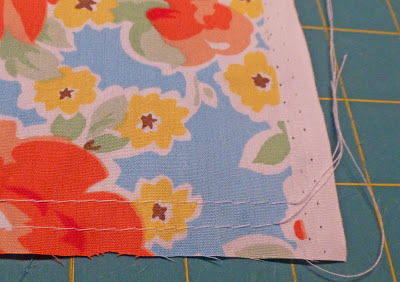 You can also do a traditional hem or a rolled hem. 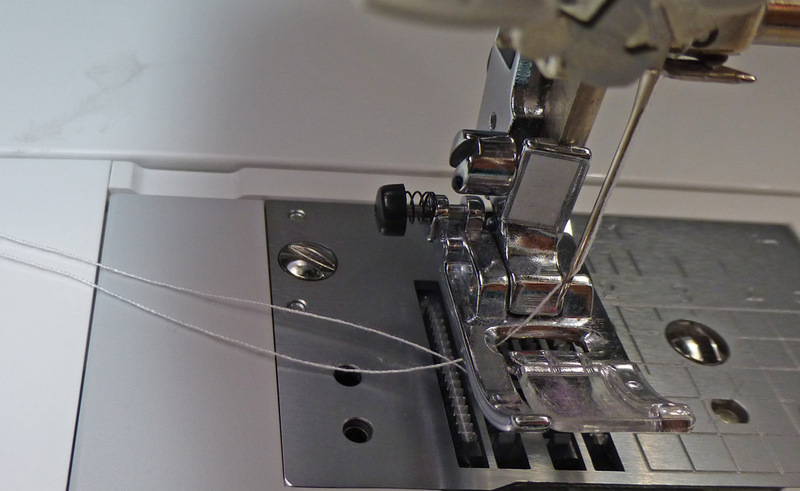 Check you machine and if you have a ruffling foot it can save much time on the gathering part of this project. You will need to follow the instructions for your machine. using this method you do not sew the side seam!! The fabric is placed face up under the ruffling foot and the t-shirt is placed face down into the slot on the ruffling foot. 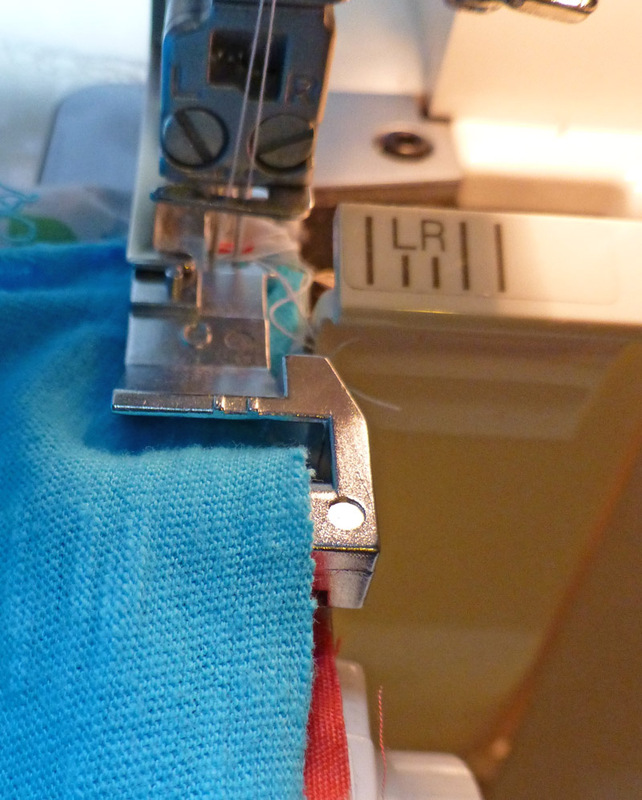 The serger automatically gathers the bottom fabric while attaching it to the t-shirt. You have to be careful to ease your t-shirt gently so that you do not run out of fabric. 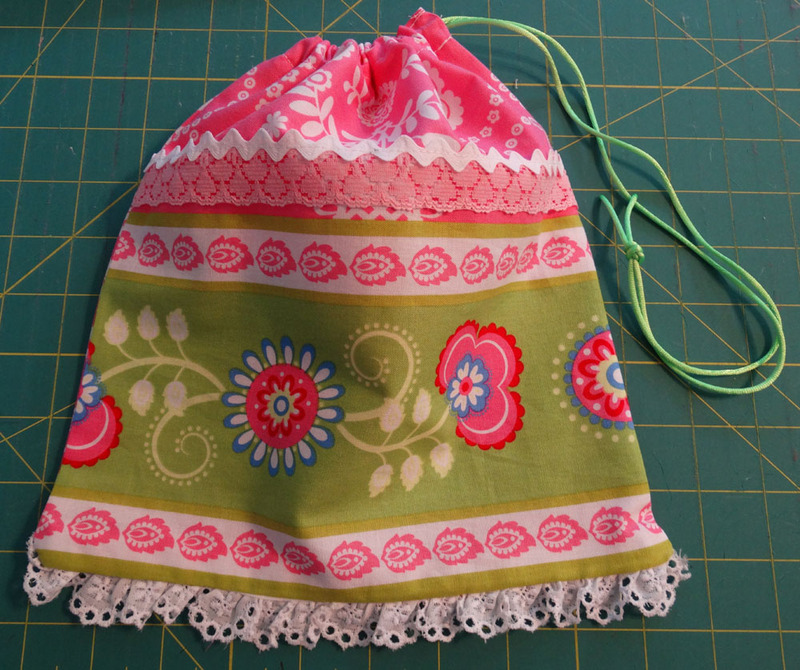 Some rufflers just gather the fabric and then you attach to the t-shirt in a separate step. I found that this process is actually easier to do than it is to explain how to do. Great job explaining! I love your serger foot. I just finally figured out last week how to use my serger to gather--will save time for sure once I get used to it. I remember when you mentioned you had three sergers and were setting them up to do different things--told my family it was a brilliant idea and that maybe somedaaaaaaay...... :-). I love this idea. Can't wait to start! I prefer this dress for the older girls I think. It looks more comfortable for them. I'm going to try making one. Thanks for your very clear instructions. 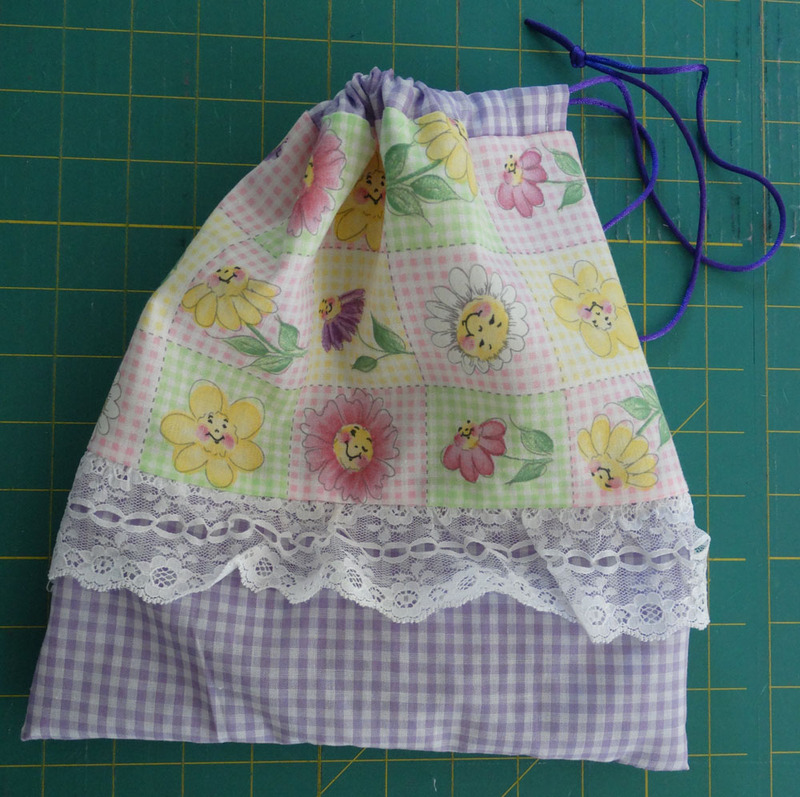 My sewing machine is almost sixty years old,so I think I will be gathering by hand. No matter glad to do it!